The M7 is based on the older M6 bayonet for the M14 rifle. 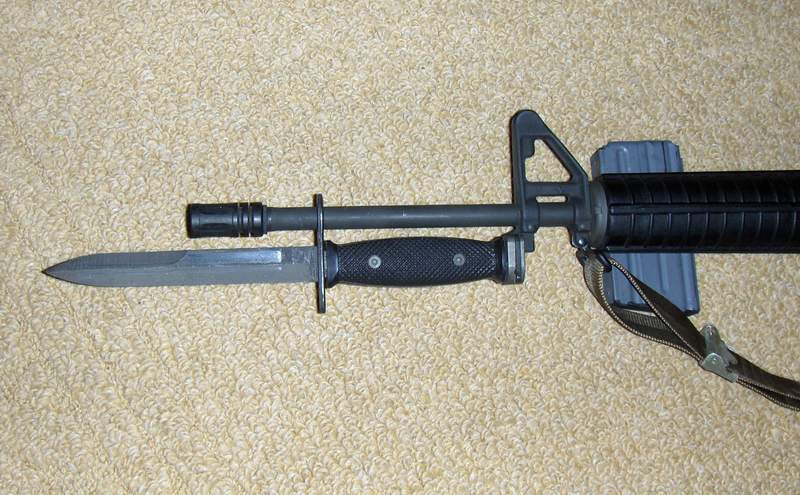 The most notable differences between the two are the diameter of the muzzle rings, and the locking mechanism. 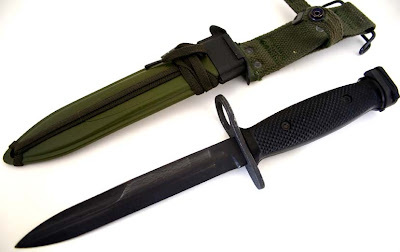 The M7's release mechanism is on the pommel, while the M6 has a spring-loaded lever near the guard that when depressed releases the bayonet. Both models are approximately the same length, have the same black finish, and use the M8A1, or later M10 sheath. 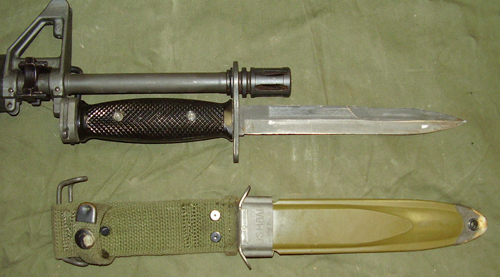 The NSN for the M7 bayonet is 1095-00-073-9238. 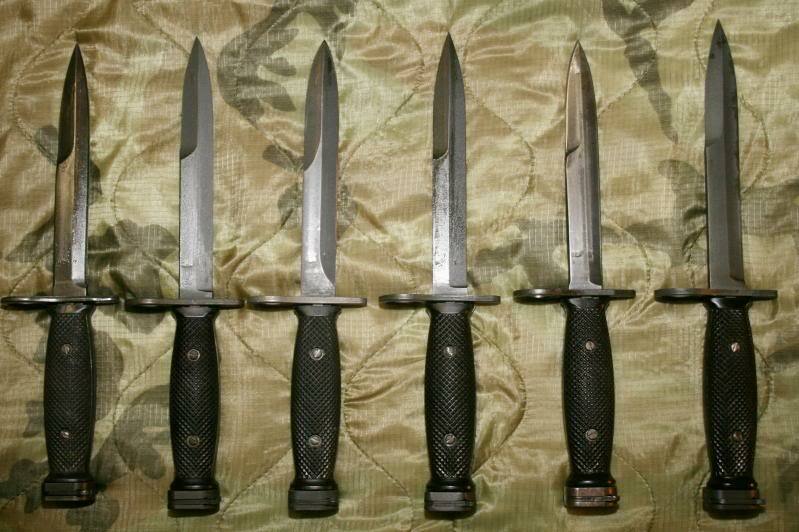 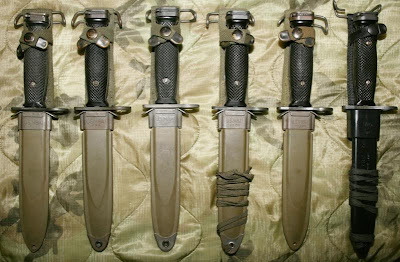 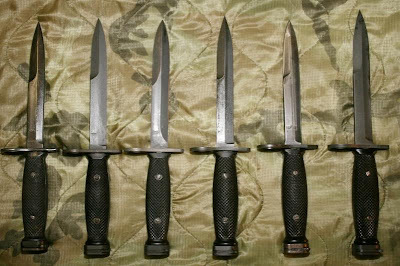 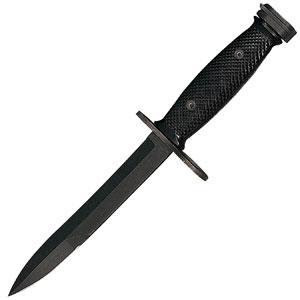 The M7 was partially replaced by the M9 bayonet in Army service. And the Marine Corps replaced it by the OKC-3S bayonet. The Army, Navy, and USAF still use M-7s and may do so for years to come. 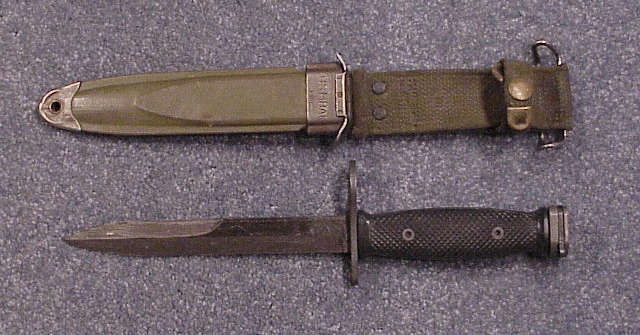 The M7 was manufactured in the United States, Canada, West Germany, the Philippines, Singapore, and South Korea.